Head of the AmaThonga clan Inkosi Mabhudu Tembe has praised thousands of people who attended the 9th Umthayi Amarula festival for what he terms their exceptional behaviour. The festival took place at the Emfihlweni Royal Palace in Manguzi on the north of KwaZulu-Natal. The guests came from Mozambique, Swaziland and as far afield as overseas. “This event is an identity of Tembe tribe and we also share ideas with neighbouring countries; Mozambique, Swaziland and we are trying our level best to make sure we are reviving this function in terms of economy, tourism and agriculture. We are busy trying to facilitate that to make sure this is gonna happen and benefit the community. We are in a process of utilising the factory that will produce jam and other stuff,” explains Inkosi Tembe. 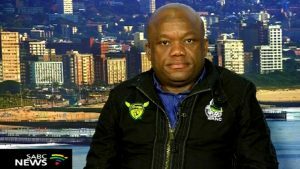 Meanwhile, KwaZulu-Natal Economic Development and Tourism MEC Sihle Zikalala believes the festival boosts the economy and opens opportunities for the unemployed locals. “It has contributed a lot in the economic growth of this district. Many people have guest’s houses, established small hotels. The hospitality industry is growing, but also it adds on the cultural orientation of the area as you would see the people coming in their cultural outfit to celebrate this event. We continue to support it as government. Firstly, because it contributes to the economy and tourism; secondly, it also contributes culturally. It’s our responsibility to grow it,” says Zikalala. The post AmaThonga clan head lauds attendance at Umthayi Amarula festival appeared first on SABC News – Breaking news, special reports, world, business, sport coverage of all South African current events. Africa's news leader..